We don’t have a shortage of potential candidates. Rather, what we have is a shortage of qualified candidates. And whenever there’s a severe shortage, posting a job often makes it worse, not better. After all, when you post, you waste precious time sifting through scores of unqualified candidates. Because they bear no resemblance to the job description, they leave you wondering why they’ve bothered to apply in the first place. When you base your entire recruiting strategy on job postings to attract active candidates, you are giving up control. And that is a frightening concept. You’re left hoping and wishing (if not praying) that a contender will somehow surf by your posting and be seized by the impulse to apply for your job over every other opportunity out there. Top performing candidates rarely have that impulse. Rarely do they ever need to apply for jobs. Rather, the opportunities come to them. Candidate spotting is all about control. It involves identifying, profiling, and filtering passive candidates to come up with a hotlist of the most viable prospects. Instead of targeting every potential candidate at every target company, you’re going to target the passives most likely to convert to interested, qualified candidates. To recruit passive candidates, it no longer is enough to simply ask, “what potential candidates are working in similar roles at our competitors?” and then to attempt to recruit those people. Because, my friends, you will waste an inordinate amount of time recruiting people who are wrong or who simply won’t respond to your outreach. It makes no sense for you to call and email everyone, often multiple times, to transform a mountain of names into viable candidates. This is where most passive candidate efforts fail. Candidate spotting puts you in control and makes the recruiting of passives far more manageable because you turn that mountain of passive prospects into a molehill. You turn an unruly endless list of candidates into a tight list of the best-of-the-best. 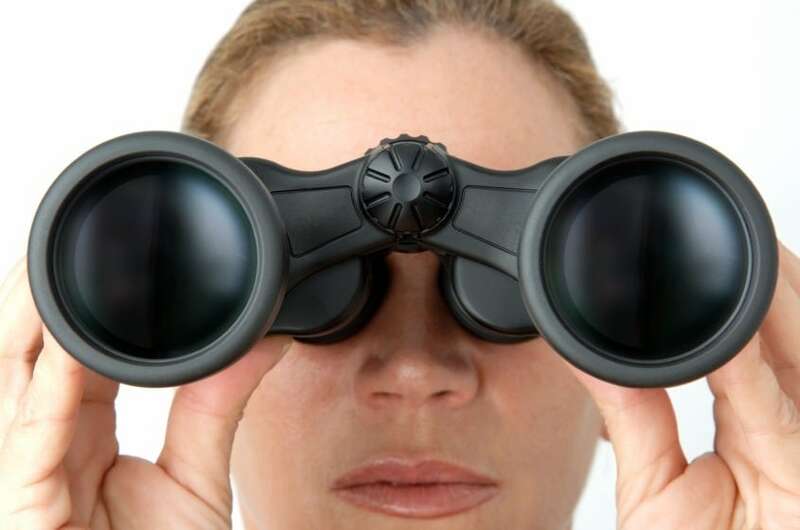 Candidate spotting is about surveying the landscape and spotting candidates who will be more likely to be responsive and more likely to be just what you are seeking. So you start with the same list of target companies as you would with any typical sourcing project, but now you’re going to filter that list down to a select few. I want you to start thinking like an investor picking stocks using stock filters, only you are an investor of a different kind. You are investing your time as well as your company’s money and resources to find the people your company needs to win in the marketplace. So you take that same group of target companies out of which you plan to recruit (usually your competitors), and you filter that list down to a tight target company hotlist. The number and kinds of filters you employ are limited only by your imagination. That’s where the real art of candidate spotting really comes in. Filter for excellence. Look for evidence in social media profile or resume that indicate the person is a top performer. Look for an upward career trajectory. Does the person progress to more senior roles of more senior scope with step up? Allow for legitimate sideways, lattice-like moves on the career ladder for young parents or periods when a worker returns to school. Look for honors, awards, research publications, and patents that matter. Filter for duress. Companies that are under duress make ideal targets. Look for poor earnings reports, depressed stock prices, mergers and acquisitions, layoffs, and rumors of layoffs. We call these opportunities “swoop-ins.” People working at companies under duress are far more likely to return your recruiting calls. So set up news alerts to track all target companies. The moment a target company experiences uncertainty, target their people. If you respond more quickly than recruiters at other companies, you’ll have first mover advantage. Filter for annual reviews. People often decide to leave after annual reviews. So set up alerts to follow up with candidates as those reviews are being completed. If you don’t know, they often occur at the fiscal-year end, a fact you can easily look up on information services such as Hoovers. Filter for cultural fit. Prioritize recruiting from companies that are a cultural fit. Simply examine where most of your company’s hires have come from and target those companies. Filter for location. Prioritize recruiting from companies whose offices are closest to yours. Doing so avoids the issue of relocation, speeding time to hire. Candidate spotting also leverages candidate profiling. Names and titles are no longer enough when so much information can be had through the Internet. Taking a moment to check for available biographical information can help you prioritize hot candidates and eliminate candidates who fall short of your standards. Filter out odd career trajectories. Avoid unexplained gaps between jobs without a decent explanation. Avoid a crazy quilt of jobs have no relationship to one another, suggesting the person hasn’t yet figured out what he or she wants to do. It is okay for people to change careers, but the story of their work must make sense. They must evolve. Filter out companies with high retention. Every industry has them. These are companies that are generally the market leader and who treat their employees very, very well. Unless your company is prepared to spend what it will take to lure those candidates away, don’t waste your time. Filter out anyone who lacks must-have requirements. It may seem obvious, but when you are working off a list of names and titles, it is impossible to tell who has requisite education or experience. That is why we profile candidates, aggregating available biographical information whenever possible. The moment or two it takes to quickly Google for additional information or to check LinkedIn can save you wasted effort recruiting the wrong people. Candidate spotting is an effective way to proactively target and recruit by finding the shortest path to the best candidates. The time to try it is when you’re not finding the candidates you need using other methods. If you run the filters as suggested, you can narrow your target candidate list down to a hot list of the 20 or 30 most viable prospects. The technique can be applied to executive search as well as recruiting at the non-executive level. You shouldn’t have to leave “no stone unturned”. The next time you feel as if you are, it is time to try candidate spotting.